Nested inside the Paris Las Vegas Hotel, Le Boulevard at Paris is a retail gallery that has a Parisian theme. Boutiques, cafes and restaurants line this retail hub that brings the charm of the French capital city to the Las Vegas Strip. This beautiful shopping hub is easily accessible from the Las Vegas Monorail and several interstate highways. You don't have to be a user of tobacco products to check out the inventory at the Davidoff Boutique. This business has an extensive collection of imported and domestic cigars and cigarettes. At La Cave, you could stock up on premium wine bottles, cheese and chocolate from the French countryside. The Eiffel Tower shop sells adorable souvenirs and memorabilia relating to its iconic namesake. Open 24 hours, Le Journal lets you pick up gifts, liquor and other essential items at any time. Les Necessites also specializes in sundries that you'll need for a comfortable stay at the Paris Las Vegas Hotel. Looking for designer frames that are worn by sophisticated Parisians? Then pick up the perfect pair at Optica. As the name implies, Perfume de Paris boasts a large collection of fragrances for men and women. Ladies will find signature French cosmetics and beauty products at Perola. From designer handbags and shoes to accessories and apparel, Paris Line has a diverse collection of items for fashion-obsessed women. Guys could browse high-end apparel at Misura, which carries multiple brands, including True Religion and Boss. As you walk through the charming galleries of Le Boulevard at Paris, you'll surely develop some cravings for authentic French food. This elegant retail venue is home to several restaurants and cafes that bring the tastes of Paris to your palate. Standing on the Rue de la Paix section, JJ's Boulangerie serves fresh light fare ranging from finely chopped salads and hot soups to delicate pastries and deli sandwiches. Chocolate croissants and gelato are some of the most popular items on the menu of this bistro. Featuring an interior design that mimics the charm of a Parisian street in a courtyard, Le Cafe Ile St. Louis specializes in quiches, crepes, dessert and other light fare. French onion soup and chocolate mousse cake are some of the venue's signature items. Stocked with wine and other fine spirits, the bar at this cosy cafe is open 24 hours. If you're looking to enjoy dinner in a high-end area, make a reservation at Mon Ami Gabi. This upscale restaurant offers duck legs, steak frites and other signature dishes you'd expect to find in the kitchens of reputable Parisian establishments. The lavish dining room also overlooks the beautiful fountains at the adjacent Bellagio Hotel. Le Boulevard at Paris is located inside the Paris Las Vegas Hotel that's managed by the Caesars Entertainment group. Standing along Las Vegas Boulevard, this property has one of the most distinct facades on the Las Vegas Strip. The Parisian-style architecture will surely make you want to explore the world-class amenities inside this premium resort, which includes a casino. 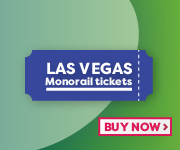 The Bally's & Paris station of the Las Vegas Monorail is just a short walk away from the shops and restaurants of the Paris Las Vegas Hotel. This rapid transit service connects nearly all major hotels and other landmarks that line the Las Vegas Strip. The covered parking deck is also located near the monorail station. Interstate 15 runs just one block away from this French-inspired resort. Additionally, the hotel is a short drive from McCarran International Airport, the busiest hub for air travel in Nevada .